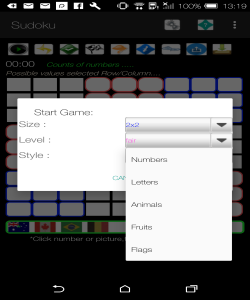 Sudoku App offers a range of game levels, selectable square size puzzles (2x2,2x3,3x3), numbers or letter games, animal faces, standard controls . Also contains Tic-Tac-Toe, coin, card flipper games. Featuring onLine Radio with 250+ world wide stations, play local device music , videos (mp3,flac,avi etc). So listen to ur favorite radio station, music, video etc while playing a game! Free Sudoku Coin/Cards Game and online Radio is an app that lets you play the most enthralling math puzzle game, Sudoku, and much more! 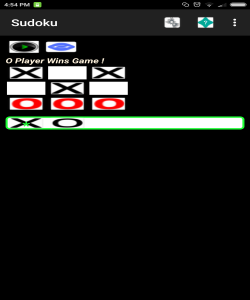 If you're looking for an all-in-one app to enjoy hours and hours of you favorite game, then you're in the right place. 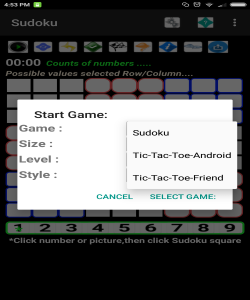 In this app, you have the possibility to complete tons of Sudokus, and even customize them for an even cooler experience. You can play the classic three by three, where you have to fill in the empty spaces while considering the numbers that are already on the board. However, you can also play in three different sizes with three different difficulty levels. Plus, you can swap out the numbers and play with letters instead, if the alphabet is more your thing. This app offers a few different features that make this game extra interesting. For example, you can listen to music while playing, as well as check at any time if you've if you've got the right solution to the Sudoku or reveal a position to help you out with the rest of your decisions. You have access to an immense selection of radio stations where you're sure to find something you like. This way, you can enjoy the best radio while you play your favorite game, making for an all around great experience. However, if listening to music distracts you, you can feel free turn it off at any time. Free Sudoku, Coin/Cards Games and online Radio is, without a doubt, an excellent app for anyone who wants to enjoy playing the classic Sudoku but with an original twist. Give it a try and solve all the puzzles you can with the best music to accompany you.